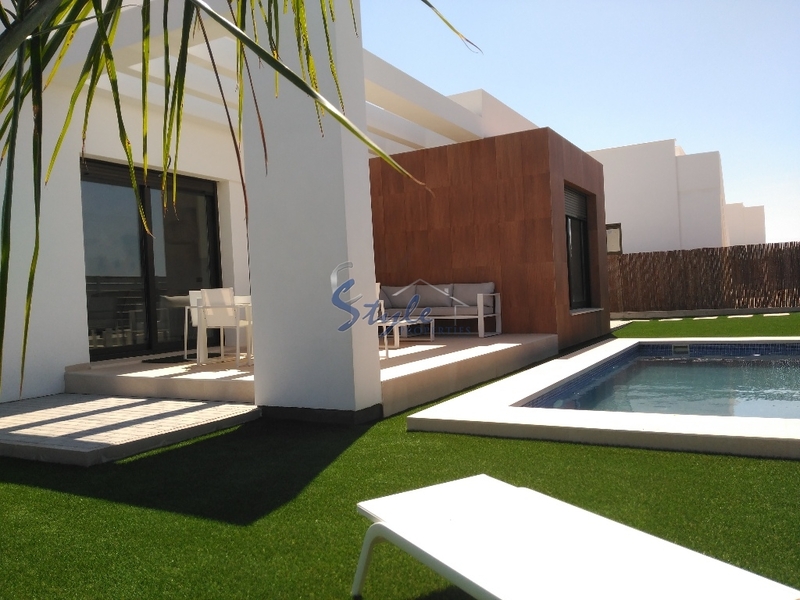 Beautiful villas of one level with an option to build private swimming pool are for sale near the golf fields in Vista Bella, Costa Blanca. Villas consist of 3 bedrooms, 2 bathrooms, living room, dining room, kitchen and the terrace. All materials used in the construction and finishing works are of the highest quality. 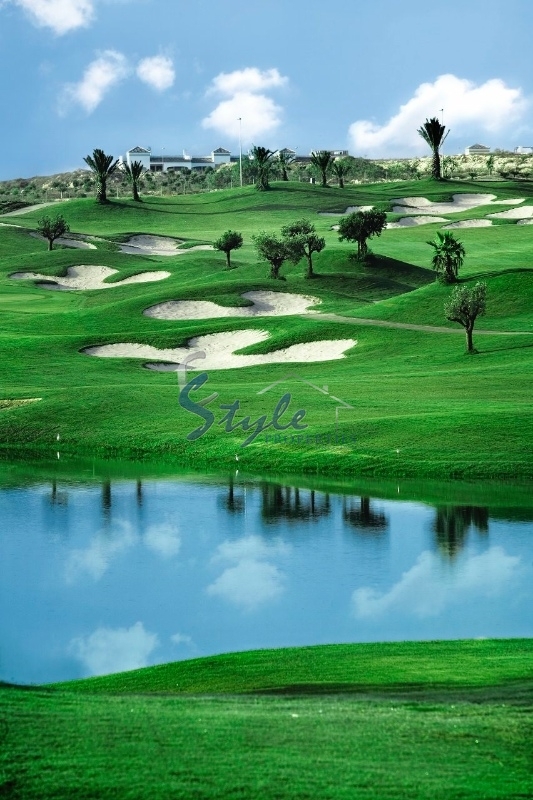 Vistabella is a prestigious area, surrounded by golf courses, is getting a quick popularity among the citizens of Europe. The quiet atmosphere, developed infrastructure and high quality service make this area very attractive. The white sandy beaches and the natural parks of Orihuela Costa and numerous other attractions and entertainment centres.